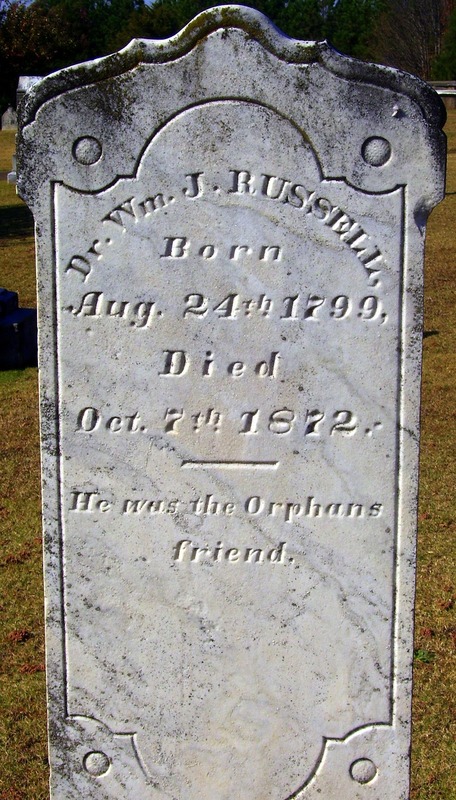 According to online family trees, Mr. Russell was born in North Carolina to William Russell and Sarah McRee. He first married Sophia Parks, then later married Iantha Huff. 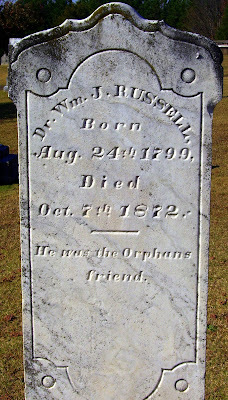 My curiosity was piqued by the "He was the Orphans friend" part of his epitaph. Anyone have any specifics as to why this was true?